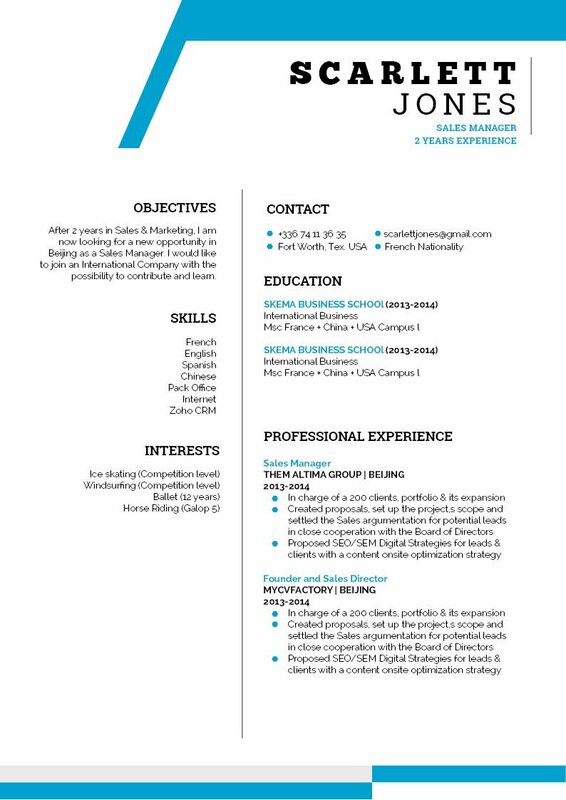 The information included in this CV is crafted into a simple and effective design. CV template to download "Gravid"
If you need a resume that perfectly shows your professional experience in a clear and stylistic manner, then the Gravid resume template is just for you! It has modern design that use shapes and colors so well, it'll surely grab the attention of your potential employer. This resume is good for any job type out their since it presents all your past work experience in an easily readable manner. This is good for those that are seeking jobs in the higher positions, it looks professional yet artistic, and will surely get you that job! How to make a good resume? Easy, make it simple and comprehensive. 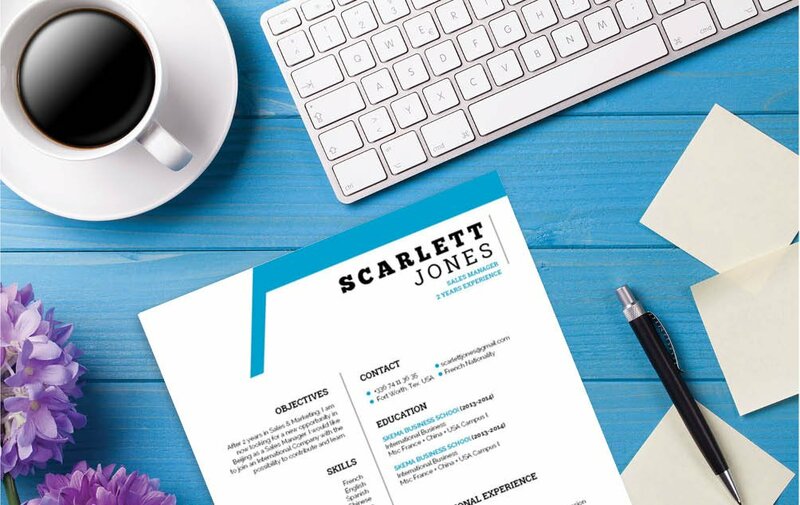 A resume that can convey all your qualifications with ease is all you need to have a better chance in landing that dream job ! How to make a good resume ? Easy, make it simple and comprehensive. 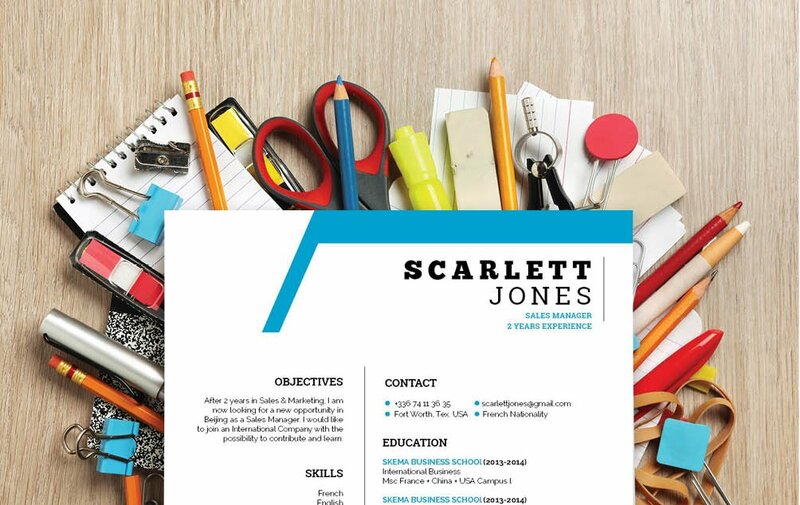 A resume that can convey all your qualifications with ease is all you need to have a better chance in landing that dream job ! Make sure to use a font size between 11-12, a professional font style (e.g. Serif fonts) are clean and easily readable. A resume is typically is read fully the first time around--it usually gets scanned for about 10-30 seconds. In that time frame all your qualifications must be easily picked up by your potential employer. Keep each paragraph of your cover letter and each section of your resume short and substantive. Break complex information down in to bite-sized blocks no more than five lines long.